In the art world, one of the secrets of success is the ability to constantly reinvent oneself in one’s work, thought and approach. This attitude is nowhere more present than among young artists who have the ardor and energy typical of an early career. Obviously, this freshness must remain alive throughout the career of any artist but it is often early in a career that we notice what will make an artist one who will ever reinvented and who will keep spontaneity, relevance and that little something that separates the great ones from the others. Le Balcon d’art has long been known for seeking out the young artists who will have the most potential and who will remain fresh and lively throughout a career that all wish will last a lifetime. This week we are proposing new works by two of these new generation of artists. Megan Fitzgerald is a young and imaginative artist born, raised and currently based in Montreal, Canada. She received her Bachelors of Fine Arts with honors in Drawing and Painting from OCAD University in Toronto. From the moment her artist mother placed a brush in her hand, Megan has been in love with painting. Art making was a daily occurrence, gallery visits replaced soccer games and art was a way of life. 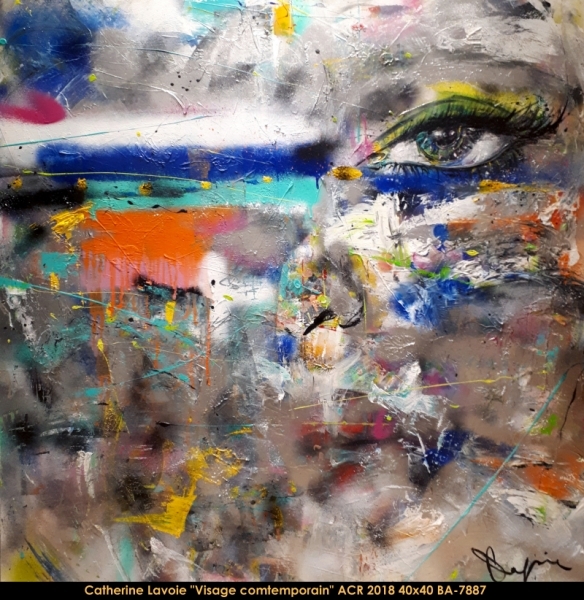 Understanding, unraveling and expressively depicting all that surrounded her became an obsession, a passion that is manifested in her work today. 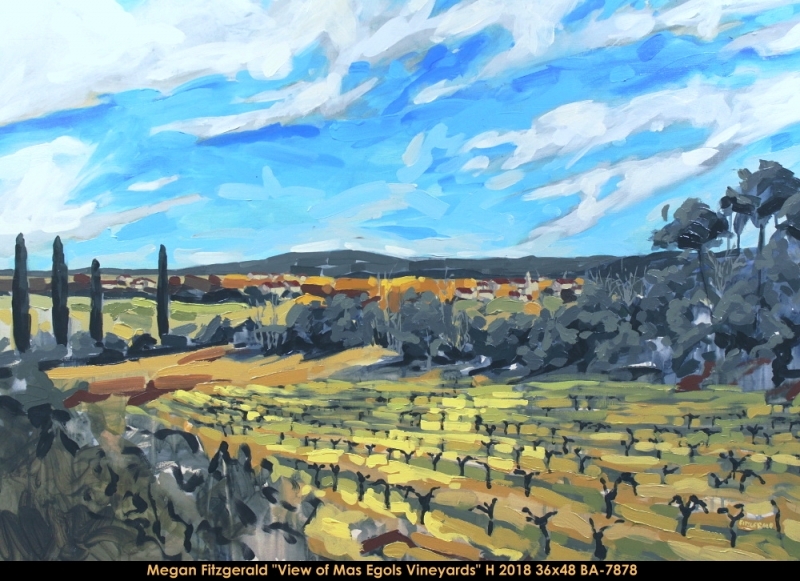 Megan spent 5 years as an art teacher for children, an opportunity that enabled her to view the world with the same innocent spirit as the young artists she worked with. Through two years of fine art training in College and another 3 years in University, Megan worked to keep this curiosity and wonderment in every art piece she approached. In 2015, she moved to Florence, Italy, deepening her artistic practice and exhibiting in the company of the renaissance masters and rolling hills of Tuscany. Together, the impressive landscapes and renowned figurative artworks that saturated the city began to seep into her artistic psyche. 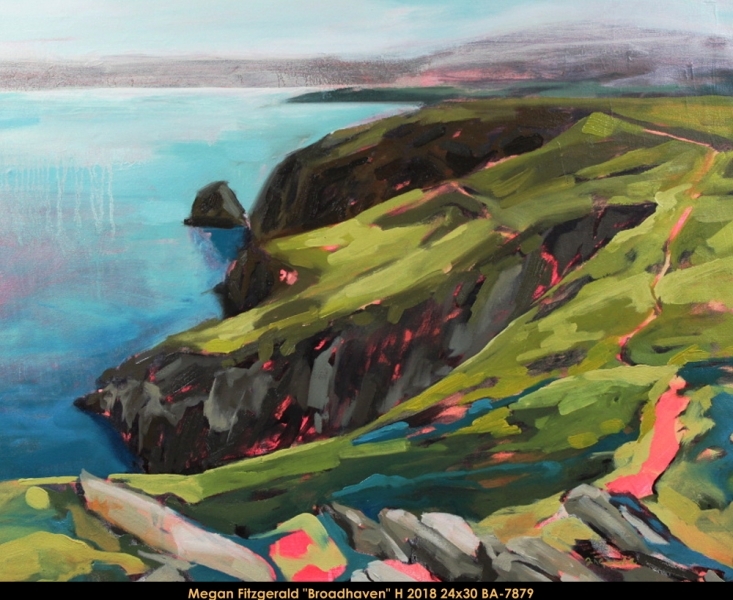 Returning to Montreal, Megan began a series of Tuscan landscape works, culminating in a sold out solo exhibition and permanent gallery representation at Chase Art Gallery in Montreal. Today, she continues to produce landscape and portrait paintings in acrylics in her home studio as well as pursue other ventures such as public art installations, commissioned portraits and most recently, a self-curated exhibition that culminated in a silent auction for a local charity. Catherine Lavoie is a young contemporary artist. She obtained her DEC in visual arts in 2014. She is currently at UQAM in visual arts to finalize her BAC. A full-time painter, Catherine Lavoie created her own company in 2016 to share her art. 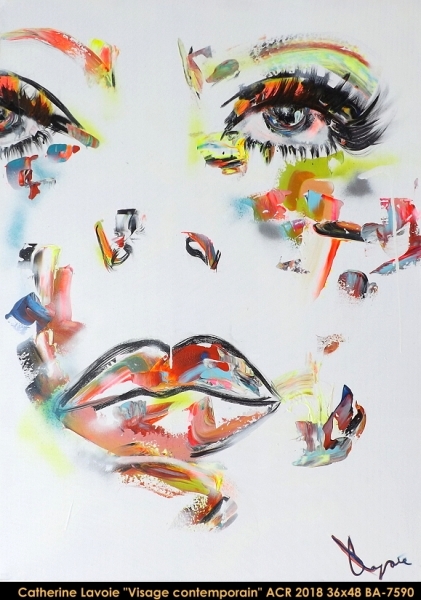 She is now represented by le Balcon d’art. She has participated in more than 20 exhibitions and events to help her discover her art in Quebec.